Take Back Rest with us. At Daring to Rest, we offer ongoing online professional and personal development for women around the world to sleep better, dream big, and train to share the rest medicine of yoga nidra meditation with others. The Daring to Rest™Academy is a unique online yoga nidra “rest” meditation and women’s empowerment training opportunity for coaches, yoga and yoga nidra teachers, healers, wellness practitioners, leadership professionals and other women who want to share the message of rest with others. At Daring to Rest, we’re on a mission to help women (and brave men) take back rest - because well-rested women feel happier, healthier, and change the world from a more conscious, peaceful place. We know it’s hard to break the cycle of fatigue and that exhaustion has many layers. 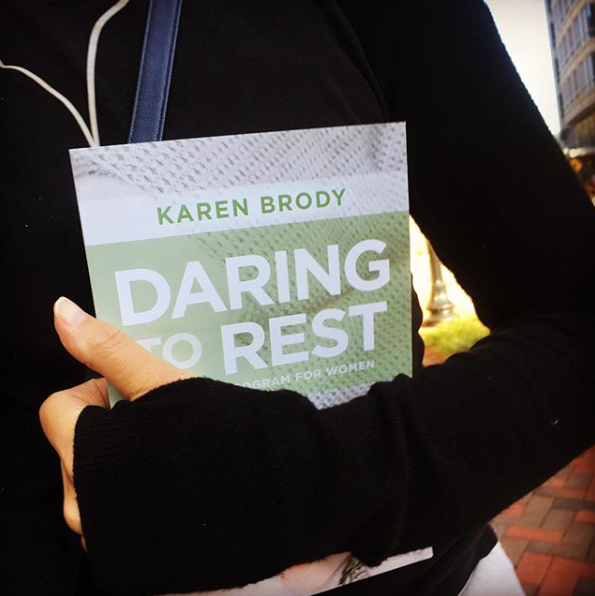 Our founder, Karen Brody, wrote this book to help you go from worn out to well-rested using a sleep-based meditation technique that feels like the most supreme relaxation imaginable.